When will be This Old House next episode air date? 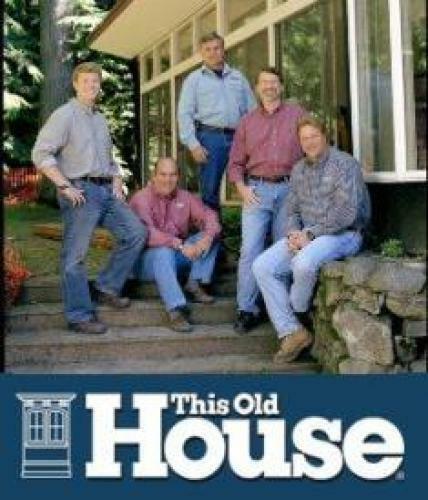 Is This Old House renewed or cancelled? Where to countdown This Old House air dates? Is This Old House worth watching? The mission of This Old House is to demystify the home improvement process and to celebrate the fusion of old world craftsmanship and modern technology. Each season features two renovation projects. Project One traditionally consists of eighteen or so episodes and is filmed in Massachusetts. Project Two is generally taped in a different region of the country to highlight the variety of American architectural styles and renovation issues. This Old House next episode air date provides TVMaze for you. EpisoDate.com is your TV show guide to Countdown This Old House Episode Air Dates and to stay in touch with This Old House next episode Air Date and your others favorite TV Shows. Add the shows you like to a "Watchlist" and let the site take it from there.